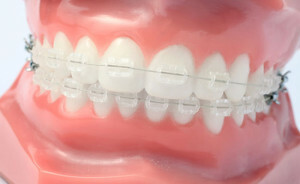 Orthodontists specialise in the movement of teeth aka braces. They have done 3-years full time additional training in this field in addition to 5 years at dental school, to be included on the specialist register and officially called an orthodontist. In a nutshell, orthodontists specialize in the diagnosis, treatment, and prevention of teeth and jaw alignment problems. As a specialist they are only able to practice orthodontics. What problems do orthodontists specialize in? Preparation for restorative work e.g. creating space for implants. What treatments do orthodontists specialize in? Some dentists perform orthodontic treatment, others refer their patients to specialists. There is a large spectrum of experience from very little to quite extensive amoung general dental practitioners. However if you visit a qualified orthodontist you can be rest assured you are receiving the best possible treatment and experience. It is important to remember that the length of orthodontic treatment can vary depending on the movement required and complexity of the case. An average time frame would generally be about 18 months. When should orthodontic treatments begin? Orthodontic treatment is commonly started when a child has all their permanent teeth to move them into position. That said there are a number of circumstances where treatment earlier on can have a positive effect down the track and reduce treatment times needed with conventional braces. This is termed interceptive orthodontic treatment. Your dentist will check your children’s teeth at every recall and complete a referral if necessary for the orthodontist to assess any potential developmental problems even as young as 6 years old.